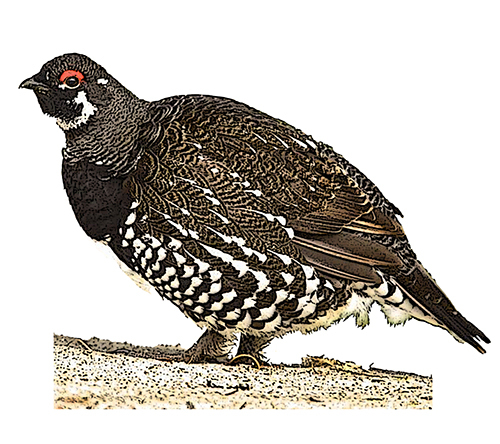 Found in every province and territory, this chicken-like bird is thick bodied, with mostly dark-brown upperparts and black underparts with white bars on its breast. Its head is mainly black and features red eyecombs. 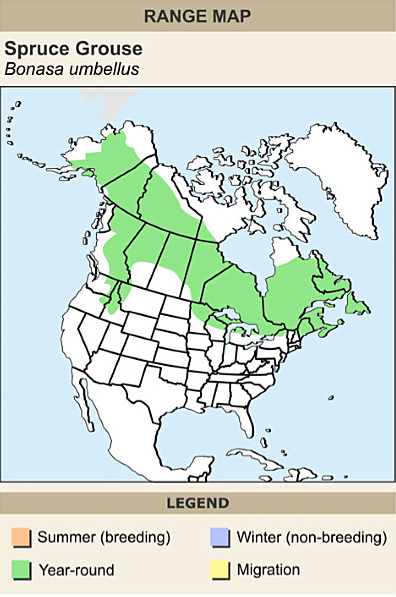 A boreal species, the spruce grouse prefers thick pine or spruce forests.